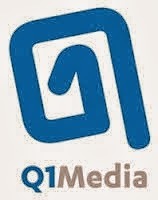 Q1Media develops technology that delivers buying efficiency, control and value to advertisers, agencies and trading desks. According to a 2014 report the average rate of video ad CPM increase to $30, compared to $15 to $20 in 2012 and 2013 — way down from 2011's average CPM of $17 to $25. Q1Media - is a digital advertising major in Video Ad Platform, Major Advertisers targeting video ads to a large audience are Youtube and Hulu. Leveraging traditional TV, second-screen ads, TV everywhere and mobile video spots in a personalised, targeted way will add value to the industry and create better engagement. The recent fluctuations in market dynamics for online video ads alone are just part of the process of creating that next generation of marketing, analysts noted.